It is said that optimism kills all the hindrances and it is what creates opportunities in life. It is also to bring to notice that one of the key ingredients to inspiration is the power of imagination from the humble things in life. 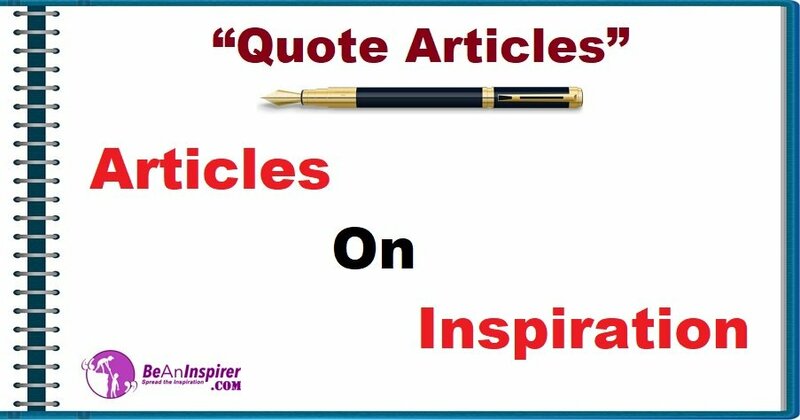 See what inspired the famous personalities of all times along with the beautiful nature photographs in the Quote Articles section and find Articles on Inspiration.